Also, who saw Justin Adams performing with Robert Plant at Glastonbury (2014)?! 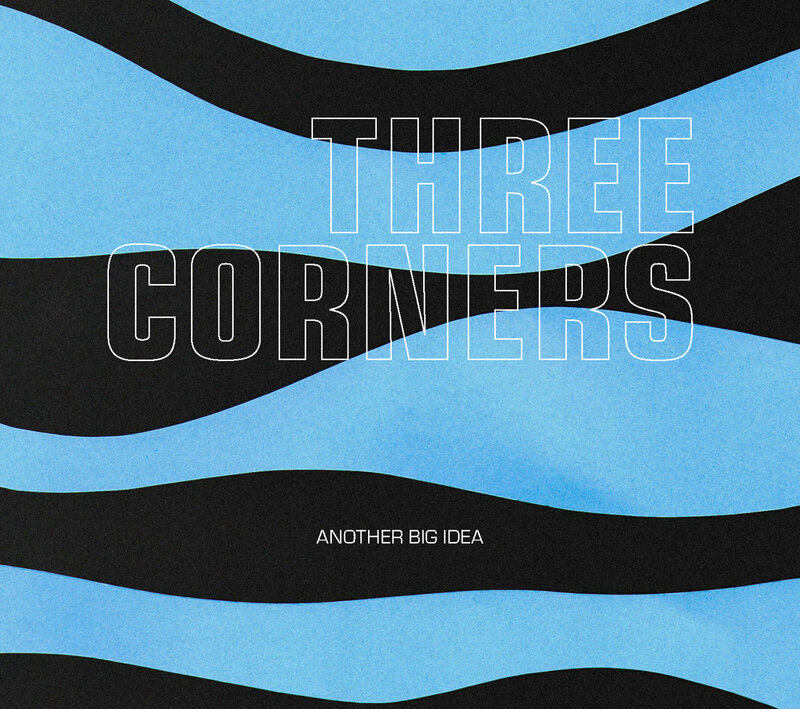 Great new album from Caroline & Nick as "3corners". 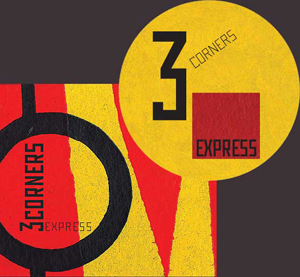 It's called "Express"
It's a long time since we made some new music together (the last Impossible Dreamers release was in 1987), but we are thrilled to announce that the new CD by our band three corners is out now. 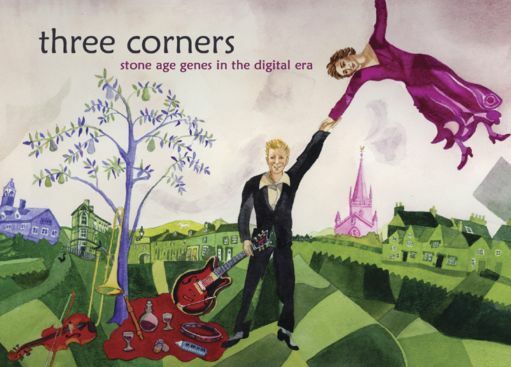 "stone age genes in the digital era" is a limited edition on our own label (a merciful release) and we thought you might like to hear what we've been up to, which you can do at our website http://www.threecorners.co.uk/ and at http://www.myspace.com/threecornersmusic. There are songs and samples from the album on both sites. If you like what you hear, please treat yourself to a CD, which costs £10 including post and packing worldwide. You can also leave comments on the 'guestbook' page of the website. You can buy the cd on-line using the 'add to basket' link (via Paypal, but you don't have to be a Paypal member to use it). If you prefer to buy off-line, please send us an email via the website and we'll send you details. [Note from webmaster: I've heard some of the tracks, and they're absolutely great, really hypnotic. Have a listen - you won't be disappointed!!! Although the Imps started off as several friends at Exeter University (c1980), by the time of This House Built On Sand it was a quartet; Nick Waterhouse (gtr, vox)/Caroline Radcliffe (vox, oboe)/Justin Adams (gtr)/Fred Hood (drums). (who was playing bass, then?). Ironically, Justin & Fred were originally in "rival" Exeter band, The Syndromes. Justin Adams - note scary picture, an even scarier picture than the ones on this site! If that link doesn't work, try www.myspace.com/justinadamsproducer. I knew he was an excellent guitarist, and now he plays with the likes of Robert Plant (who he?). His website only works sometimes, but when it does, it's worth a look. Fred Hood, apparently a good friend of ex-Smiths guitarist, Johnny Marr, has also been the drummer for the Pretenders (who they?) and Moodswing. Caroline is one of the musicians on The Lilac Time's "Paradise Circus". She co-wrote songs with Nick Duffy and was part of his project "Bait". Together with Nick Waterhouse Caroline organises the "Acoustic Plus" music events in Frome and they play together as Three Corners. Caroline has a bunch of other music projects, details of which will hopefully follow soon. In spite of the fact that The Lilac Time tried to release a double album called "Tree" in 1989, Fontana refused them to do it. So The Lilacs made "Paradise Circus" and the rest of the songs were released as this "BAIT". Most of them are familier to TLT CD collectors as they are in TLT's single CD's. Their collaboration with Nick Duffy in a band called "Bait": See http://www.duffypedia.com/whoiswho.html. For more info on Bait, see also http://www.freewebs.com/marimari/withframe/html/nick/nick.html. There are some great photos of this era at this site. "At last! I know there must have been some fans out there somewhere! 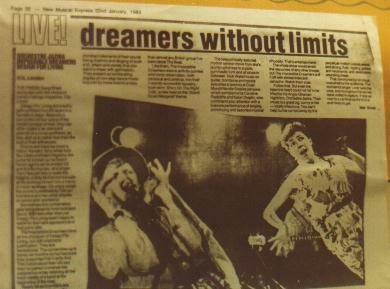 I was the original bass player with the Impossible Dreamers – playing on Life on Earth/Spin and Ready in the Rhythm Section, the official bootleg cassette and another album which was never released – I left same time as Katie Chaplin (there is a story there!) [what's the story? - Ed] around 1984. Other spin offs from the Imps were the All stars – who released the 7” One Million Hamburgers - a Justin Adams creation. How about Ducks Fly and Om Ah Hum on the Ready Album? ...but if they made a compilation CD of The Impossible Dreamers work, what would be on it. Here is my list (amended March 2003) - email me yours. I've called this compilation Fantasy, as that is all it is presently...although when you think about it, it's not a bad name for an album by a band called Impossible Dreamers. Maybe one day it'll turn into a reality, but would Reality be a better name?